What's an AMP Duo diaper? It's a diaper with a double duty. The most versatile cloth diaper available today. Use it as an AI2 (All in two) diaper during the day and just change the absorbing insert when wet or stuff it and use it as a pocket diaper to keep baby dry at night... or use it as a pocket diaper all the time.... These diapers have same amazing fit as the Original AMP AI2's but have the added versatility of a pocket opening for stuffing. The soft elastic gathers are incredible at containing leaks while being oh so gentle on baby's tender skin Four rows of snaps on each side allow separate tummy and thigh adjustments, this means you get a custom fit on any baby. The super soft fleece keeps the absorbent insert where it belongs so there's no bunching, it also keeps baby dry if used as a pocket diaper. 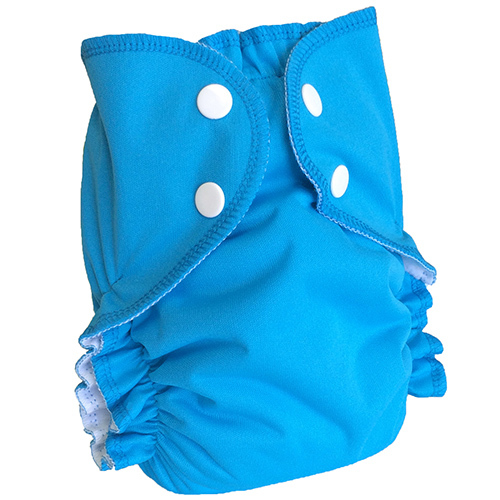 The durable waterproof breathable fabric is soft stretchy these diapers can be washed and dried over and over and still look and work like new. Since they are a two part system washing and drying is quick and easy. Choose your favorite absorbent inserts from cotton, AMP hemp inserts or AMP bamboo inserts*. Available in three sizes that fit from birth to potty learning.